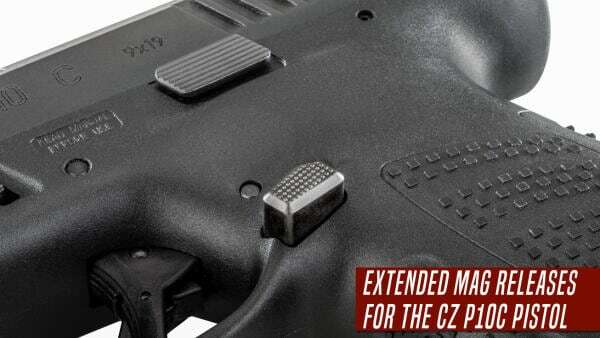 Apex spreads the CZ love with the new Apex Extended Mag Release created for the CZ P10c pistol. 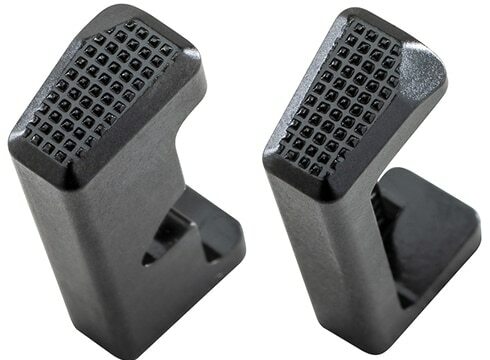 Machined from barstock steel and heat treated, the unidirectional mag releases are a direct replacement for the factory CZ P10c pistol magazine release. The Apex Extended Mag Release aims to improve mag changes by making magazine releasing easier on the end user. The new mag release comes in two lengths — Tactical length, +0.080-inches, or Competition length, +0.120-inches, for right or left-handed shooters. Apex says each Extended Mag Release offers 30 lines per inch checkered face. 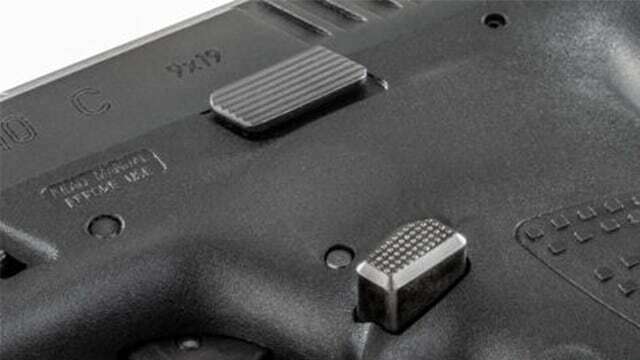 “The Apex Extended Mag Release for the CZ P10c pistol is a unidirectional direct replacement for the factory omnidirectional magazine release and improves performance by making it easier to release even a fully loaded magazine,” Apex said in a news release. The Apex Extended Mag Releases are available through Apex Tactical Specialties and feature a retail price of $49.95.